Twinkle is created for Suncakegames. It has been released on several portals. 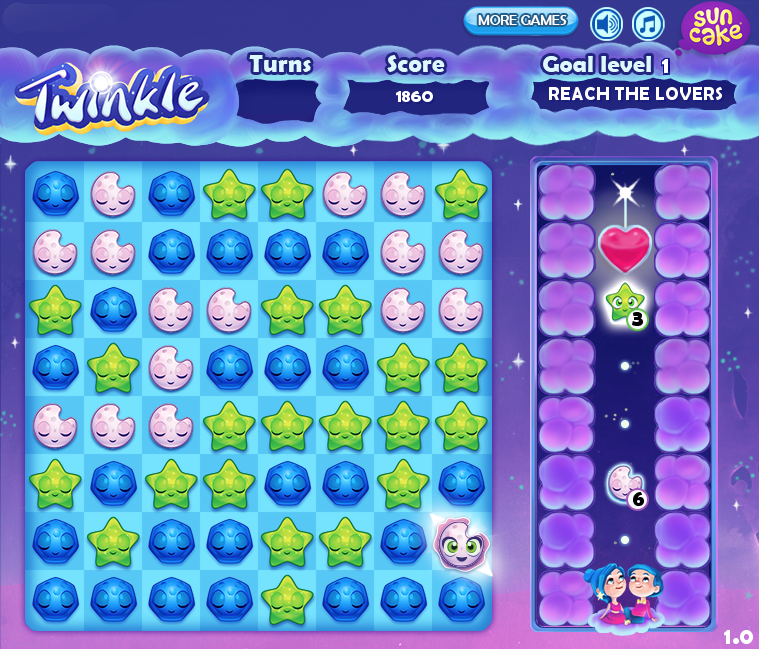 Vuurig designed and created the game art for Twinkle. We aimed to create a visual style and theme that was attractive for 30+ women. Twinkle is a surprisingly fun puzzle game about creating constellations while you are stargazing with your lover. When you’ve finished your constellations you give each other a kiss and continue to the next level, until you’ve finished all your levels.